Terrorist throws explosive device near Cave of the Patriarchs before fleeing the scene. The incident ended without injuries. 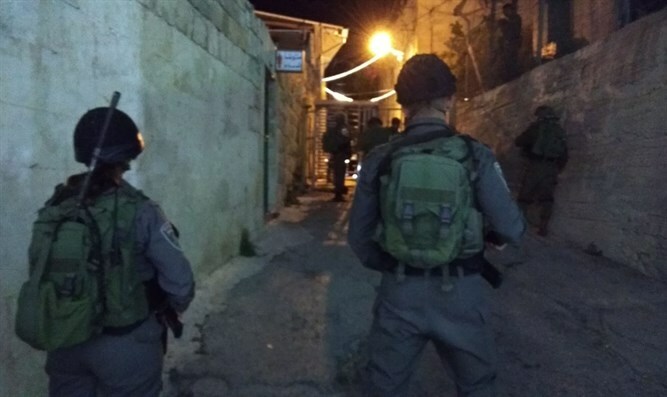 An explosion was heard on Tuesday evening near one of the inspection posts manned by Border Police officers at the entrance to the Cave of the Patriarchs in Hevron. An investigation by security forces found that the explosion was caused by an explosive device that was thrown at the inspection post. The terrorist who threw the device fled the scene. Security forces are searching the area. The incident ended without casualties. This is the second time this month that terrorists have attempted to attack Border Police officers in Hevron using explosive devices. Ten days ago, an explosive device made up of small gas tanks was found near one of the inspection posts. The bomb was neutralized by police sappers. Following the incident, an investigation was launched in cooperation with the various security forces in order to locate and arrest the terrorist who threw the explosive device. Two weeks ago, IDF soldiers foiled a ramming attack in Hevron, when 35-year-old resident of the Palestinian Arab town of Beit Ummar attempted to ram his tractor into the soldiers, who were guarding a roadblock. As the soldiers attempted to arrest him, the terrorist turned around and attempted to run over passing civilians. An IDF soldier standing on the roof of a nearby building fired at the terrorist, eliminating him.